We work closely with our clients to provide commercially focussed rigorous and practical solutions to environmental matters whilst maintaining integrity in environmental practice. Our local team can deliver professional results in a timely manner whilst maintaining a personalised relationship with our clients. Our technical expertise, first-rate safety and management systems, and demonstrated experience has us well placed to service your entire projects environmental requirements. At EcOz we understand the importance of having policies and standards in place to ensure we meet our objectives to deliver on time cost-effective solutions and a level of service that meets the diverse needs and expectations of our customers. 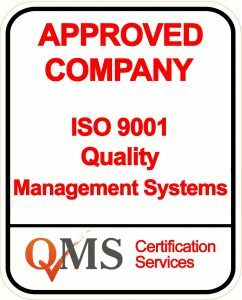 Our Integrated Management System has been certified to ISO 9001:2015. We recognise the importance of continual improvement to the Quality Management System, and commit the entire organisation to consistently meet the requirements of ISO 9001:2015. EcOz' Quality Policy can be found here. EcOz is committed to protecting the health and safety of our employees. We are determined to safeguard our employees, the environment and our assets from harmful incidents. We recognise that we have a responsibility to ensure the safety and well-being of all who interact with the company. To reduce the risk of harmful incidents, we have a full time safety officer and engage in safe working practices and procedures ensuring that health and safety are fully considered in all aspects of our operations. 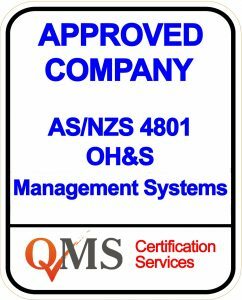 Our OH&S Management System has been certified to AS/NZS 4801:2001. EcOz' WHS Policy statement can be found here. 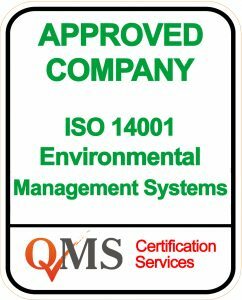 Achieving certification to ISO 14001 highlights our ongoing commitment to becoming an environmentally sustainable organisation, to establishing and maintaining our EMS and continually improving our environmental performance in the areas we operate. EcOz Environmental Management Policy Statment can be found here.